It’s Customer Appreciation Week at Friendly’s from September 19-25, 2016. 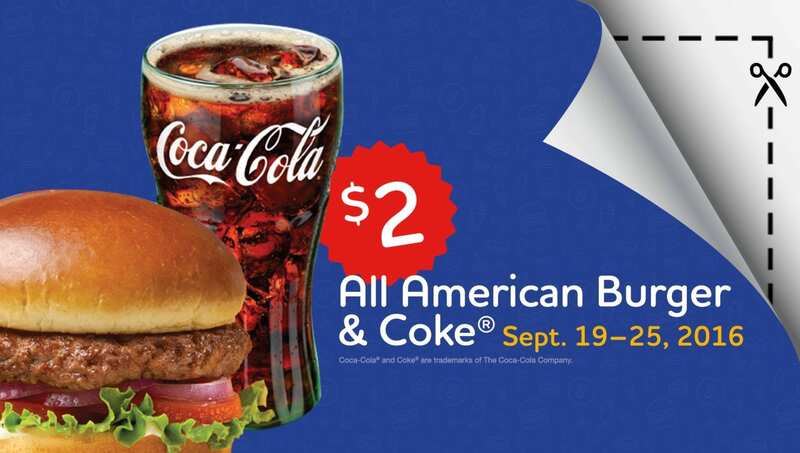 You can get an All-American Burger and a coke for $2 during Customer Appreciation Week! Limit one per person and valid at participating locations in MA, NH, CT, VT, and ME.